Comment: The disciples in our passage have experiences where things are more than they seem. First, with just the five loaves and two fish that they offer, Jesus is miraculously able to feed more than 5,000 people. Then, when they are sailing, they see what appears to be a ghost, but then turns out to be Jesus, miraculously and inexplicably, walking on the water. In the first instance, they are worried about being able to feed all the people, in the second instance they are afraid of a ghost. Peter, too, is individually afraid, because he tries to walk on the water, but then notices the wind and waves and starts to sink, whereupon Jesus rescues him. For the disciples in these encounters, things with Jesus are more than they seem and so they realize that with Jesus, they have no reason to be afraid. 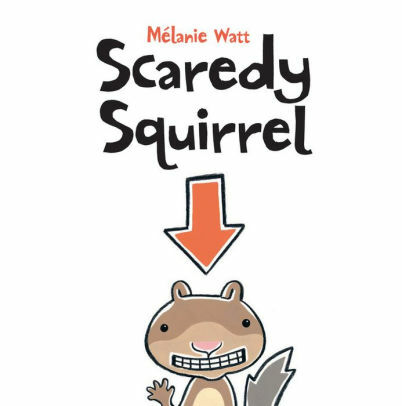 In Scaredy Squirrel, Scaredy Squirrel lives up to his name—he is worried and scared about everything! One of his fears is falling out of his tree. But when he accidentally does fall out of his tree, he realizes that things are more than they seem: he is not just any squirrel, he is a flying squirrel! This means he is able to glide his way to safety and that he doesn’t have to be afraid of falling out of his tree anymore. Like Scaredy Squirrel, and the disciples, we may be worried and frightened, but as disciples of Jesus Christ, things are always more than they seem, and with him, we have no need to be afraid. Thanks to Sara Anne Berger, pastor of First Presbyteria Church in Nachitoches, LA, for writig the Year 1 Narrative Lectionary Links. Lectionary Links (NL): February 24, 2017 by Storypath is licensed under a Creative Commons Attribution-NonCommercial 4.0 International License.